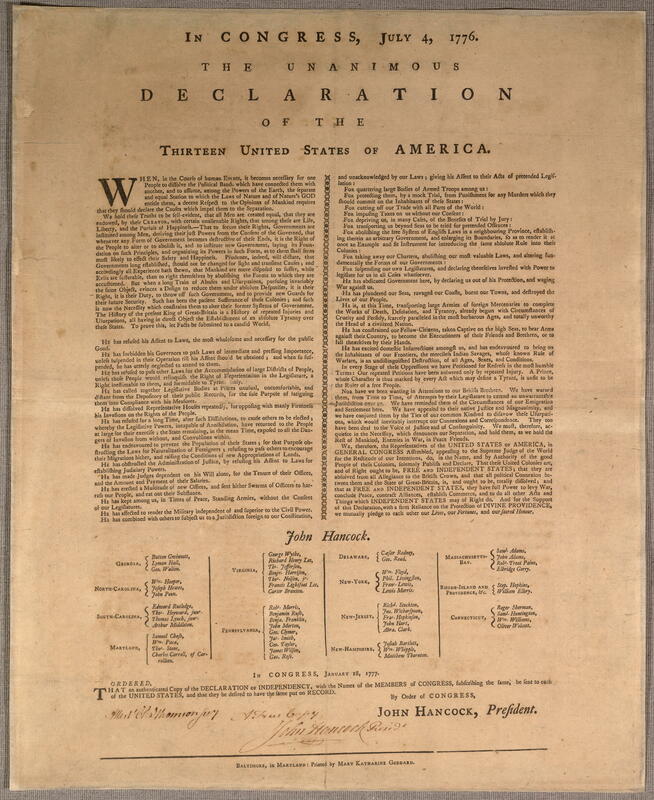 Tomorrow is the 232nd anniversary of The Declaration of Independence (click the link to read the original document). Below is a fragment of George Washington’s personal copy, displayed online at the Library of Congress, and the one which he read to his army before engaging British forces in New York. Many courageous Americans since have sacrificed their own life, liberty, and pursuit of happiness to ensure for posterity those inalienable rights declared by the founders. Even today the people of the union movement at home and abroad struggle to declare our independence from the tyranny of greedy multinational corporations, corrupt governments, and trade agreements that sell out workers. As we celebrate this 4th of July, we honor the many patriots who have come before us and who have fought, each in their own way, to preserve and expand our privilege as Americans.